Have you heard about the Nest thermostat? It’s an elegant tool for your home that helps save energy and money — and CPS Energy will credit your account up to $115 if you install one in your home and sign up for the Rush Hour Rewards program. For me, it was the appeal of functional and visual elegance. I tried multiple times to comprehend the convoluted instructions for programming my regular thermostat. No matter how many times I read the directions, I couldn’t master the scheduling function and would stress when I had left the house and forgot to turn down the AC or heat. Plus, the thermostat was just plain ugly. Out of frustration (and its great looks), I bought a Nest thermostat online. Cost: $200. But wait, I’ll get to the rebate shortly. As a personal challenge, I installed the Nest myself in less than a half hour. The installation video, above, walked me in clear language through each step. 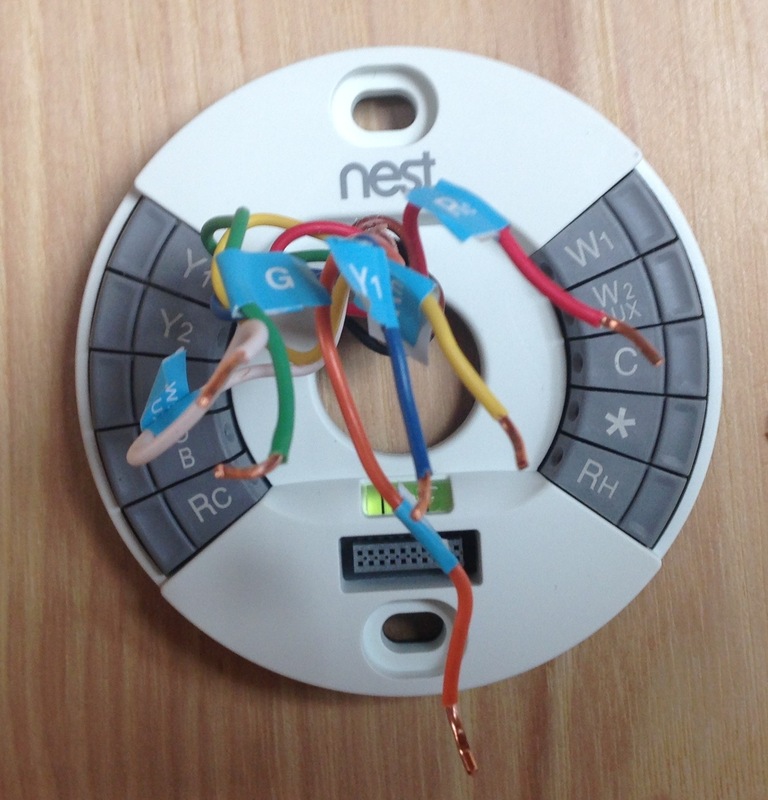 The Nest even comes with its own screwdriver! Turn off the power, remove the old thermostat, mark the wires with labels. Screw the Nest onto the wall, tuck the wires into their slots, replace the cover, turn power back on, and you’re done. Don’t be afraid. The install video above shows you how to label the wires and tuck them in the right slots. Or, you can hire a pro. The toughest part was drilling holes in our walls, but that was the fault of our hardwood paneling, not the Nest (regular sheet rock walls would be a breeze). After installation, the smart thermostat prompted me through a series of questions — date, time, zip code. At what temperature would I like to maintain my living room when away from home during heating and cooling seasons? By incorporating my answers and recording any manual thermostat settings, the Nest learns our habits by memorizing the dates, times and temperatures we set — ultimately creating a custom schedule of our heating and cooling preferences based on real data. I ran into one glitch getting the thermostat to find my wifi, but a call to the Nest support desk addressed the problem in short order. An affable support rep named Brian made sure I had my wires plugged in properly and helped me reset the device to complete its two-way functionality, which allows for control of my heating and cooling systems from my smart phone, tablet, or computer. After syncing with my wifi, I then visited the CPS Energy Nest page to fill out the online form to enroll in the Rush Hour Rewards program and receive my $85 rebate. I also downloaded the Nest app on my phone. Rush Hour Rewards is geared to helping San Antonio conserve energy during the peak summer months, usually between 2 p.m.and 7 p.m., when high demand for electricity drives up its price. The program allows CPS Energy to make temperature tweaks to conserve energy while keeping you comfortable — and you can always override the adjustments manually if you choose. Filling out the online form to enroll in the NEST Rush Hour Rewards program takes about 45 seconds. In addition to the $85 account credit on your CPS Energy bill for signing up, you can earn an additional $30 account credit each October when you participate in Rush Hour events from June through September. Find out more and sign up on the CPS Energysavers website. 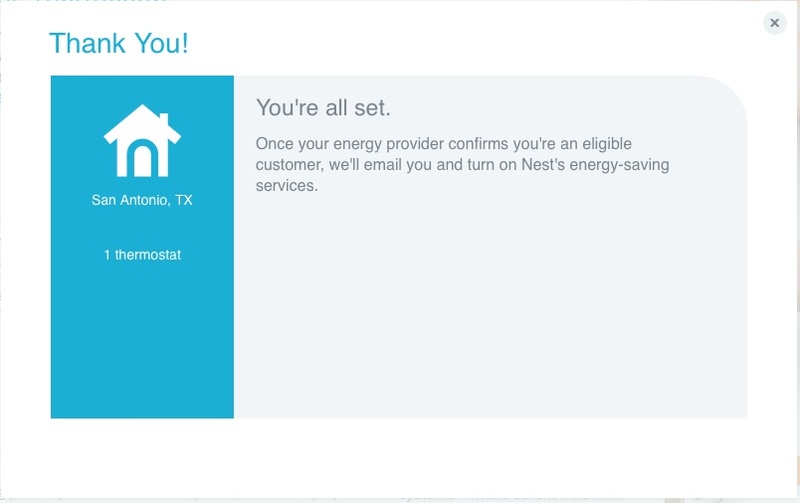 this page https://newsroom.cpsenergy.com/nest-saves/ says 115.00 in savings. the other page https://newsroom.cpsenergy.com/buy-thermostat-get-150-bill-credit-holiday-season/ says 150.00 in saving credits on your bill. ALSO WHIN I CLICK ON “SEE QUALIFYING MODELS” THE PAGE IT SENDS ME TO DOES NOT WOORK it says page not found!!! Purchase a programmable thermostat(s) from any retailer (see qualifying models). If you have more than one in the home, you get a bill credit for each one purchased and enrolled. which are the qualifying thermostats? ?